We're just starting our search for a car to replace my wife's 2003 VW Jetta GLS. She absolutely loves her current car and there aren't any major issues with it (a couple nuisance items), but we're planning to hand it down to our son when he turns 16 next year. The title describes her priorities, although she's expanding beyond her "red" requirement to consider a couple other options, but generally we're finding if the vehicle doesn't come in primary red (i.e. no burgandy/maroon) it probably doesn't have another option she would accept. Also must be automatic. Preference is new, but I could probably talk her into the right CPO vehicle. It will mostly be an around town car. She has a 2 mile commute to work and 15-20 miles into "town" (both one way) maybe once a week. My Audi A4 can remain the family car (2 parents plus the above mentioned teenager and a 90 lb Bernese Mt Dog). I'm sure she'd be happy with a little 2 seater convertable if we didn't live in VT and didn't need to worry about cold and snow. She would like to know that it handles OK in winter snow (with good snow tires). She's never had a concern with the Jetta or even her 91 CRX before that. The ~98 Integra she didn't like as much even with the snow tires. Our starting list was Fiat 500, Golf hatchback, and Honda Civic. Fiat she loves the styling, but didn't like anything else (it's the one one we've driven). She found the seats particularly uncomfortable so is out of consideration. Golf we thought would be a shoe-in given strong reviews and how much she loves her current VW, but it failed to keep her interest (we didn't drive it since we didn't have time). We're pretty sure we're going back to look at a Beetle, but she liked the older Beetle styling better than the current. Civic styling was really too aggressive for her, but she really liked the canary yellow Fit Sport they had in the showroom. The Fit hit all the right points on styling for her and she loved the cargo space. She'd prefer the sport fabric trim, but need the EX-L to get the heated seats. Definitely heading back to test drive at some point. Note: her first car was a used late 80's CRX which we unfortunately totalled after having it only ~4 months. CRZ would be on the list if we could find a very low milage one near us with the right seats and in automatic. I think we're putting the Mini Hardtop into consideration and will go have a look at a Hundai Elantra GT. She's not sold on the Elantra based on what we have seen on-line, but she's keeping an open mind. The Soul came up on some website searches she did, but ended up not really liking it that much when she checked one out that we passed in a parking lot (and that the exterior color options she liked best excluded the heated seat option). Mazda3 was like the Civic, she doesn't like the exterior styling (front end too long, which I agree with). I'm hoping maybe when the 2019 model comes out it could get added back into consideration. She doesn't want a Subaru and most SUV/CUVs are either too big or don't pass the "cute" test. Thanks for giving so much detail. Completely remove any FIAT from your list. They have been Consumer Reports' least reliable brand for the past 6 years or so. My niece had one and the transmission broke at 80k miles among other things (A/C). They just make terrible cars. By the way, the head rests are plastic. The Golf is a great car, but maintenance costs will get you overtime. If you don't mind the repairs, it is probably my top pick. I would not buy a Beetle as they are not that reliable. Cute, but not a great car and especially outdated when new. The Fit is a great car and I have no negative things to say about it. It is a little small so it won't hold up in an accident as good as a Civic for example. I love the Civic and suggest it if you can get past the styling. The CRZ wasn't an enjoyable car. It looked cool, but was definitely one of Honda's less-than-good cars. It wasn't the CRX from the 80s we know and love. The new 2018 Elantra GT is much better than the 2017 Elantra GT. You get a long warranty of 10 yrs/100k miles. It isn't as pleasant to drive as the Golf, but it is more reliable. The MINI is not reliable, but it is a fun car. Depending on the amount of features you choose, they can get up to near $50k for a car smaller than a Civic. The Soul is a great car with the same warranty as the Hyundai, but you are correct about the color/heated seat combo. My son has a 2015 Mazda3 and we love it. Their CPO cars have a 7 yr/100k mile powertrain warranty. The hood is really long, but I think it makes it look more expensive than it actually is. I doubt the hood length will change much for 2019 because their concept doesn't look much different. The ride is very bouncy and road noise is loud. Mazda makes the best red color. I suggest looking at the Prius even though so many people hate the styling. It has a nice red and performs well in the snow. 55+ MPG. Good luck and please tell us what your decision is! The stats here show the MINI as "average" reliability but unfortunately almost no data at all on the Beetle. Being current VW family owners I'm ok with at least average and the Jetta hasn't been that bad on maintenance (or maybe it's just in comparison to the Audi). Might have to go check out CR from the library. Pricing out at MSRP on the MINI website comes in pretty much right at our $25K budget (2 door hardtop, heated seat as the only real adder, that and I'm sure the bonnet stripes) so I don't think we're looking at breaking the bank, and smaller isn't concern. Guessing might be a similar maintenance expense to the Audi given BMW ownership. On the Prius as really the only additional recommendation, she liked the looks/size of the Prius C best on the website options, so will probably check that out. Look at a brand new 2018 Buick Encore for $22K. It is one of the most reliable luxury cub with a 4 year, 50,000 mile warranty. 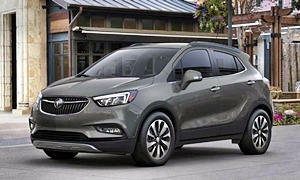 New 2018 Buick Encore Essence for sale at Al Serra Auto Plaza in Grand Blanc Charter Township, MI for $22,418. View now on Cars.com. You cannot find data on the Beetle because it is not selling anywhere in America. VW has already announced plans to end its production. Not a reaason not to get it, but it means resell value will be quite low on it. Friends of mine own the Prius, Prius C, and Volt. From what I understand, with snow tires the Volt is acceptable at climbing (I live on a 650 foot mountain which I have to climb ever day along with my neighbors). The Prius and Prius C with snow tires are not quite as good, so they are not used when it is snowing a lot For a little snow, they are okay. Not sure why the three cars are different but they are at climbing a 650 foot mountain. If you have no substantial climbs like this, all three are okay although the Volt is not quite as reliable as the Prius. Do yourself a favor and avoid the Mini Cooper Countryman. It is one of Consumer Reports least reliable cars along with Fiat. It lists every year it having engine problems, some years with engine cooling issues, most years with transmission problems, for 2012-2013 additional drive system, electrical system, and fuel system problems, climate system problems for all years, suspension problems in 2012-2013, body integrity problems every year (squeaks and rattles), power equipment problems most years, and in car electrical issues in 2012-2013. In other words - problems in almost every catagory they track. I would avoid that one at all costs no matter how much you like the look. Go with the BMW 2 series if you must by a BMW. It is small and cute. Best of all, it is one of their relliable models. In Consumer Reports with three years of production it only has squeaks and rattles some of the three years and some complaints about the in car electronics. If you test drive and the electronics don't bother you it should not be an issue. It is one of their favorite cars to drive - it scored a 91 in their tests which is about as high as they go. That is about the only car I would add to your list to what has been mentioned - and I would definately take out the Mini. With the unfortunate rise popularity of the SUV & pickups, there seems to be somewhat dearth of fun, small, red cars these days.You've gotten a lot of good responses & I totally agree with avoiding the Fiat & Mini. 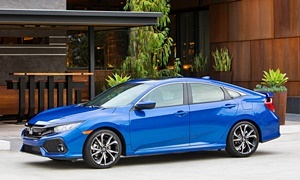 The Honda Civic is really the pick of the litter but I too find its exterior way to busy. I'll only add one car and share my personal experiences with several of the models you listed. Based on your nicely detailed post the missus will only be driving about 3,200 miles / year. Even if she keeps it 10 years, that's less than 35,000 miles so reliablity seems like less of a factor. No matter what she drives, she isn't gonna burn a ton of gas or wear anything out fast. Seems to me she just wants fun little run about to commute in. 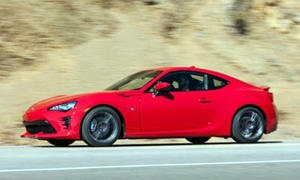 The vehicle that best fits your description (IMO) is the Toyota 86 / Subaru BRZ. Jointly developed by Toyota & Subaru, these are sporty little 2 seaters that the auto press loves to drive. They complain a bit about them being underpowered, rough riding, noisy (sounds like the CRX or 90s Civic doesn't it!) but you wife isn't looking for a race car. They are reliable, economical, and have high owner satisfaction rates. Honda Fit: I drove a 2011 for 5 years. The Swiss army knife of small cars, this is a great option. Fun to drive, relatively reliable, very economical, comes in red & your Bermese will fit nicely in the back! VW Golf: This is what I replaced the Fit with. Like the Fit, it has Swiss army knife like capablity with more power & comfort making a it a real pleasure to drive both in terms of power, handling, and comfort. Its basically a Fit on Steroids! Drive it before you reject it, I think she will like it. The Wolfsburg Edition has VW's Faux leather (nice material actually) with bun warmers as well as some other nice features over the base model at a reasonable price. 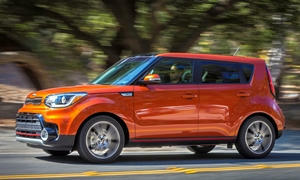 Kia Soul: Our favorite car for rental when traveling. Very comfortable with lots of amenities. You could get a red one & have aftermarket bun warmers installed for under $1,000. Or do that in any other car for that matter. Happy car hunting, would love to hear what she ends up with! So she's been reading the feedback and is willing to go check out the Mazda3. Looking at the BMW 2 on line probably doesn't fit the budget. The 86/BRZ/(FR-S) is interesting but also looks like would be closer to $30K than $25K since you can't get he base package with heated seats. I also don't know that she'll feel great about RWD in the snow. I had previously discounted the Mitata hardtop for similar reasons or that would have been on my list. I acknowledge the comments on the depreciation on the Beetle, but if you can't tell by the fact she's still diving a 15 year old vehicle that we're not really getting rid of, that's not a concern I have. My policy is drive it until we're lucky to a courtesy trade. Around here that means the rust had gotten it. I'm not sure if she would like the Prius C. It is based on the Yaris and is slow, loud, and bumpy. It gets decent MPGs and is very reliable though. I much prefer the 2016+ Prius, which I own. You can get a new regular Prius Two for $25k and it has adaptive cruise control, automatic emergency braking, and lane keep assist on every trim standard. The regular Prius also gets better mileage. Also the 86 and BRZ are 4 seaters, not 2. If you don't like the Miata's handling in the snow, the 86/BRZ probably won't be great either. Seat heaters are not usually a problem in cars, but your VW Jetta/Golf generation you own had several recalls and problems with the seat heaters. 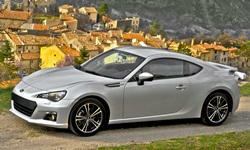 BRZ/86: Yes this is sold as a four seater but very little room back there. I read one review that said their did well in snow w dedicated tires. While not common, I believe you could find a red CPO for < $25K if you have patience. Standard OEM warranty on heated seats will be 3 years for most cars. Aftermarket may be as long or longer. One last thought: You might check out the Kia & Huyndai small hatchback offerings build good cars with lots of features - not sure you can get the read w heated seats but worth a look. I see that you have the Elantra GT on your list which is a good one or Veloster maybe? Agreed on Prius c vs. regular Prius. High owner dissatisfaction with the Prius c.
The BRZ / 86 is also loud and bumpy--I would not recommend it for anyone who wants a comfortable car. The Miata is a little more livable, but still not for someone who prioritizes room and comfort. Also remember that both cars are low, so getting in and out is a little more difficult than in the average car. How well a car does in the snow is far more about the tires than the car. I'd expect the Miata and BRZ / 86 to do about equally well in the snow if fitted with the same tires. Watch for recalls on Prius from 2014-2016 as they were recalled probably should be recalled again. This part out of warranty could be expensive and it is bee unlike Toyota to authorize dealerships to refurbish bad parts. It was only from 2010 to 2015. One of the two dealers Hogan owns is 5 minutes away from me and his dealer is scam. At least they attempted a fix and didn't keep quiet about an ignition switch that killed 124 people. Having the inverter die is like having the transmission fail or when a car breaks down or stalls; there is no propulsion. The car is still maneuverable when it dies, unlike when a key falls out of the ignition. That is when the steering locks up and you crash. There haven't even been many reports. Just look at CR or TrueDelta reliability where there have been happy faces since 2002:https://www.truedelta.com/Toyota-Prius/repair-frequencies-272. There are really no major notorious problems with any Prius year. 9, 2, and 4 repair trips per 100 cars for model years 2012, 2013, and 2014, respectively. Seems like one of the most reliable cars on TrueDelta. No, talking the 800 people that have had a problem with their Prius. "The problem, in which overheating causes damage to key electrical parts and a resulting loss of power that can leave motorists stranded,has been dogging Toyotafor about seven years. But the safety issue is now growing in scope. A woman driving a Prius in Florida last year was seriously injured when she lost power on a busy four-lane highway and was rear-ended at about 55 mph. Another Prius crash on an Orange County freeway that caused injuries was reported to federal safety regulators in 2016, according to federal records." While I appreciate the apparent concern for our safety, I'm really not interested in this turning into a debate about what reports to believe about the Prius. Please let's not go there. We took the day off work today and visited the local Honda, VW, and Toyota dealers plus a very quick pass through the Mazda lot. I should probably do this in the "why not this car?" section but I'll save that for another time (maybe, I do get lazy). Honda - We took a decent drive in a Fit Sport. She liked the interior, still loved the cargo space, although we forgot to check out the "refresh" configuration. We still have a drive-in theater in town and thought it could be nice for that. The orange sitching in the cloth seats gave it just enough interest. No nav or active safety systems wasn't a drawback for her. Havng Apple/Android on the base audio package was a plus. Pick up was a noticably lacking in comparison to her '03 Jetta but we both thought it drove fine. I thought engine noise was a little high, but well within expectations. We took a shorter drive in the EX-L to see if we thought the upgraded seats would be worth the price hike. Decided they weren't. Surprisingly, she liked white better than red. I was voting for the Helios Yellow, but she preferred the white. The few extras on the sport trim kept that as the winner for the Fit. For comparison sake we took out a Civic. We honestly didn't pay attention to the specific model and trim. All I can say it that it was the 4 door and the salesperson mentioned it was a turbo (was not an Si). Not even 2 minutes in the interior and my wife said no. We both thought the interior was very bland (it was two toned beige/black). A quick drive didn't overcome our impressions of the interior. Settled on the Fit Sport and we'd go with after market seat heaters. The Honda dealer also is the Mini dealer here and our Honda salesperson is a Mini owner (but they do split up coverage so she couldn't show us the Minis). After a little looking and conversation with our Honda salesperson, my wife decided she wasn't really interested. Toyota - was our 2nd stop after Honda. Based on exterior styling, the PriusC was the only one of potential interest. Didn't have a lot of time as we were both getting hangry so we ended up checking out the interior and taking it for a spin around the (very large) parking lot. Interior felt cheap to me, wife didn't care for it either. Drove fine, size fit with expectations, but did't make the grade. Didn't help that the salesperson didn't start on the right foot with us by taking up too much of our time inside. After fueling ourselves up with lunch we continued on. VW - Started in a Golf S. My wife immediately commented if felt familiar. I agreed that it was very similar to her Jetta, which turned out to ultimately be it's downfall. It drove really well. I had a little fun with the tiptronic and the paddle shifters. We both appreciated the classic, understated instrument panel. Upon return we hopped into the SE for a comparison of the interior options. Unlike the Honda, here she really did like the step up on the interior and features, however, it still didn't really speak to her style wise. She particularly noted not being a fan of the few areas of glossy black plastic, notably on the console near the shifter. Ultimately she decided it was just too much like her Jetta and didn't really inspire a desire to get a new vehicle (as much as she really does like her Jetta). She was about worn out but before we took off, I talked her into checking out the Beetle. Sure enough, she lit up as soon as she sat in it. It was just a base S, but she immediately took to it. It had enough of the familar VW elements she likes in her Jetta, but pulled her in on overall style (I did put exterior styling as the top priorty for a reason). On conveniece, we have some minor concerns given she like to put things on the back seat of the Jetta, and that would certainly be more difficult in the Bug. Driving may not have been quite as nice (for me) as the Golf, but certainly in the same ballpark as our Jetta and a good step above the Fit. With this being the expected last year (our salesperson said they have nothing official from VW, but did agree that is the expectation) it may be a bigger challenge to find the the Bottle Green or Tornado Red with the Style and Comfort package, but they did tell us there are currently a reasonable number available they could get. Mazda - We were heading home past the Mazda dealer so we made a quick stop in the lot to look. She and I both have the same opinion on exterior, from some angles it looks good, others not so much. The real killer however was the look and position of the infotainment screen. She absolutely hated that. The 2 minutes walking around the car and looking in the window was more than enough for her. We headed out before a salesperson could come out to even say hello. Where does that leave us? Fit vs Beetle. Fit has her mind. Beetle has her heart. Same scenario as we were in back in 2003 when we were looking at Civic vs Jetta. That one worked out really well for her so I suspect there is a slight edge on the Beetle, but if we really do wait until later in the year as we had planned, we might not be able to find the right Beetle at a good price. We also liked our Honda salesperson better for whatever we decide that is worth. I'm sure we'll be back for at least one more drive on each and will at look at CR since there isn't any reliablity data here at TrueDelta on the Beetle (only prelim result for 1 model year). We'll see if she decides she can wait or if we bite the bullet a year earlier than planned either because of Beetle availablity or that she just decides she's ready for the new car. You already said you don't care about resale value, but I'll tell you that resale value will decrease considerably when a car is discontinued. 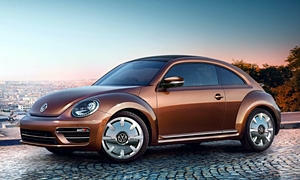 The Beetle will be discontinued in a few years they say until the I.D. Buzz debuts. I guess it is a decision between style (Beetle) vs. substance (Fit). VW has a new warranty for 2018 of 6 yrs/72k miles. Consumer Reports rates the 2018 Beetle 49/100, which is kind of below average. This is a score combining how the car drives compared to its competitors, quality, and reliability; basically how good the car is. Reliability since it went on sale in 2012 has been either poor or average. They predict a new one to be average. Because we are here to provide our advice, I would 100% buy the Fit. 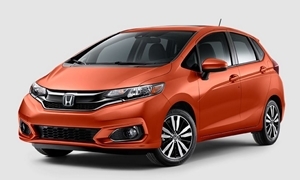 The 2019 Fit having advanced safety features is just another benefit over the Beetle. It is also spacious, cute (IMO), reliable, modern, and flexible. I think the 2019 EX is the best value because I prefer CarPlay, safety features, and a sunroof and it is a small premium over the Sport. I think the best trim of the Beetle is the SE. 2018 has a new 2.0T instead of the 1.8T. Thanks for the update, so nice to hear your shopping perspectives! Sounds like the Honda is a good fit! I glad you compared it to the Golf even if you came to a different conclusion than I did (I confess I still have occasional second thoughts on whether or not I should have gotten the Fit!). 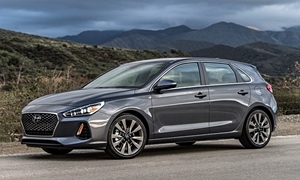 In your intial post you mentioned the 2018 Elantra GT. I just read a couple reviews of it & it sounds like a great car. 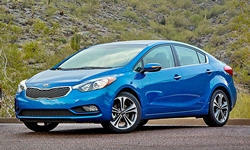 The Fit gets better MPG but the Elantra has a wheel up in quite a few areas include power and comfort. I was surprised to see that the numbers indicate the GT has slightly more cargo space than the Fit. But without the Fit's fabulous Magic Seat flexiblity I'd wager you could still get more variety of stuff in the Fit. The real Elantra bonus is their 10 yr warranty. Sounds like it would be worth a test drive before you pull the trigger. To be specific, the Beetle has a couple of problem spots - the fuel system (more serious) and body issues (body hardware and integrity issues, squeaks and rattles, etc.) Otherise CU says it is reliable which is why it generally gets an average rating - nothing too bad but at the same time, you are fixing it for minor things a lot. So if that does not bother you, it is probably fine. The VW Bug there are mixed reports in the media - some say this is its last year. Others say it will be discontiuned in 2022 when the electric ID Buzz comes out. Time will tell which outlet is correct (I was going by Motor Trend and Car and Driver when I wrote it is in its last year, USA Today and some other independent sites say when the ID Buzz is released). Reliablity goes to the Fit. Fun to drive, I would say the Bug is the winner. Neither is a terrible car (if you were looking at a Mini I would say steer clear, but you already eliminated that). So for you, either is obviously a fine choice. I have more of an issue with how the Fit drives than most people do. I especially dislike the sound and feel of the engine when paired with the CVT. I'd probably have less of an issue with the manual transmission. Which are you planning to get? The Beetle feels like a more solid car and has more character, as you've noted. I'd expect decent reliability for at least the first six years. After that German cars become iffier. On the Fit transmission question, automatic. No negotiation on that point. Will try to get her to look at the Elantra GT, but the on-line photos show the infotainment screen in a similar position to the Mazada3 that was a deal breaker for her. Was thinking the new 6 yr/72K mile warranty on the 2018 Beetle would offset some of the reliability jitters, but she's definiately on the fence. If we knew there would be a 2019 Beetle, I think we'd take more time, but if she does decide that way, it's probably a purchase sooner than later to ensure we can find the options and color she wants. We would like to see it in person with either the SE trim or at least the S with the Comfort and Style package, but the two dealers in reasonable driving distance on have the base S on the lots. The display location makes less sense in the Hyundai than it does in the Mazda. It usually makes sense to have the display stick up above the instrument panel because this way it can be mounted high--good for safety--without make the entire intrument panel tall and bulky--bad for visibility. But in the Hyundai the instrument panel rises up as it approaches the based of the windshield, so there's no real gain in forward visibility. Still not a reason I'd personally rule out a car. Mazda already has this type of infotainment screen, but Ford, Toyota, Honda, Hyundai, and Kia are moving in this direction also. I love having the screen sticking up because it often prevents the screen from being washed out in the sun. And like mkaresh said, you don't have to look far from the road to change an audio source. With the Mazda, you control the screen with the rotary knob so you don't even have to reach for the screen. First of all, thanks for the various recommendations and other advice, even if we didn't follow it. She at least went and looked at (not necessarily drove) just about everything mentioned. Ultimately we (she) chose the Beetle. We found a new 2017 "Classic" in Bottle Green at a local dealer and got them down to ~20% below MSRP. Based on various web sites (KBB, Edmunds, TrueCar) the price was good and she loves the style. Wife recognizes it wasn't the "practical" choice, but she was so much more excited by it than anything else. She's ready to point out that it won't be any less of an impractical decision than my 2007 A4 was ;-) and if I'm going to make her keep it as long as her '03 Jetta, I want her to enjoy it. Did you get the new extended warranty of 72,000 miles or 6 years, bumper to bumper they are advertising? That huge price discount kind of lends credence to the view it is not selling and it will be discontinued soon - but as you mentioned, something you don't care about. Best of luck with the new car.